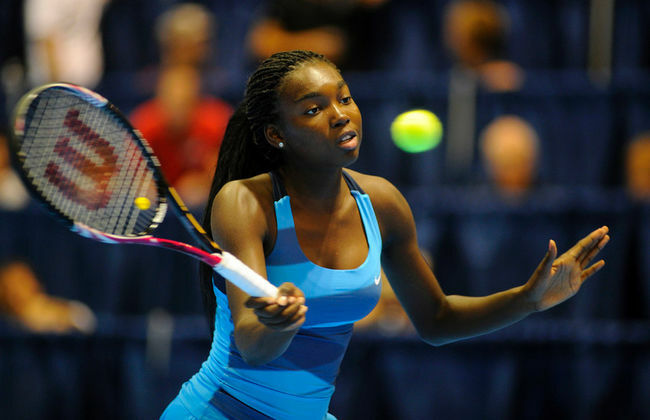 Abanda has a decent record on hard courts through her short career so far with 60 wins to 41 losses. Goerges record is poor for a player with her ability and shot making with a record of 131-123 throughout her career. Errani leads the head to head 1-0 but has been in such poor form of late that I have to oppose her especially on hard courts which is the surface she is so vulnerable on. Ozaki this season has a 33-17 win loss record compared to Errani's 6-10 record and the Italian's confidence will be very low coming into this match. The only thing stopping me from making her the bet of the day is the fact Ozaki is in bad form herself having only won one of her last 10 matches but i think she is value today to come through. Dodin leads the head to head 1-0. Records on hard courts over the last 12 months are Jankovic won 18-15 lost compared to Dodin who has an apalling won 1-7 lost record and for this reason I am favouring a Jankovic win here. Neither player has been in great form but JJ has the better defensive skills and i think that will be key here along with her better return game. Both these two players were tipped for the top, Tomljanovic has been plauged by injuries and Vanderweghe until she improves her return game and stops fluctuating mentally so much during her matches wont break into the top bracket of women's tennis. Vanderweghe has a great serve and powerful groundstrokes but something is missing from her game as her record on hard courts over the last 12 months is 9-10 and for her player with her ability that is not good. Tomljanovic is 10-5 and is playing with confidence at the minute having dropped down to the ITF circuit after injury and she has reached the SF and final in her last two tournaments on hard court.